We discuss Diamond Dave, Diamond Dave’s Birthday, Happy Birthday, Whickles, Pickle Backs, music, Linkin Park, Hybrid Theory, metal, Xero, LPU, Mark Wakefield, Nerd Positive, Being a Nerd, Judgement free, concerts, lincoln park, Dookie, Metallica, Green Day, Fuel, those people, linkin park underground, rainy concerts, Susquehanna Bank Center, Camden, the pit, mosh pits, crawling in my skin, one step closer, meet and greet, i owe you a cheesesteak, I’m not even supposed to be here today, lp nerds, chubby wubby baby club, Rob Borden, Dave Farrell, Chester Bennington, Mike Shinota, Stella and Georgie, lois and Georgie, poison laminate, badges, the underground, lP underground, break a leg, Dave Grohl, Japanese, racism, giant pillars of white people, Atlantic City, fear of elevators, spiders, snakes, cuttlefish, You live alone, That Awkward Moment, Shark Surfing, The Hunting Party, In The End, Beer laws, Beer distributors and more! Please support all other Crisis on Infinite Podcasts The Back Issue Pod, So Wizard, Open All Powers, The Convo Comics Podcast, Fans on Patrol, and Cult-45 Podcast. Welcome to the Dork of All Trades Podcast’s Website. It has been a very splendid nine months of episodes, and we want to thank all of our listeners for their support. Everyone who we have connected with on social media, as well as everyone who reads this blog, thank you! Our graphic designers have been hard at work, locked away in the dungeon, to bring a new visual aspect to the show. We are happy to introduce the new Dork Suites! 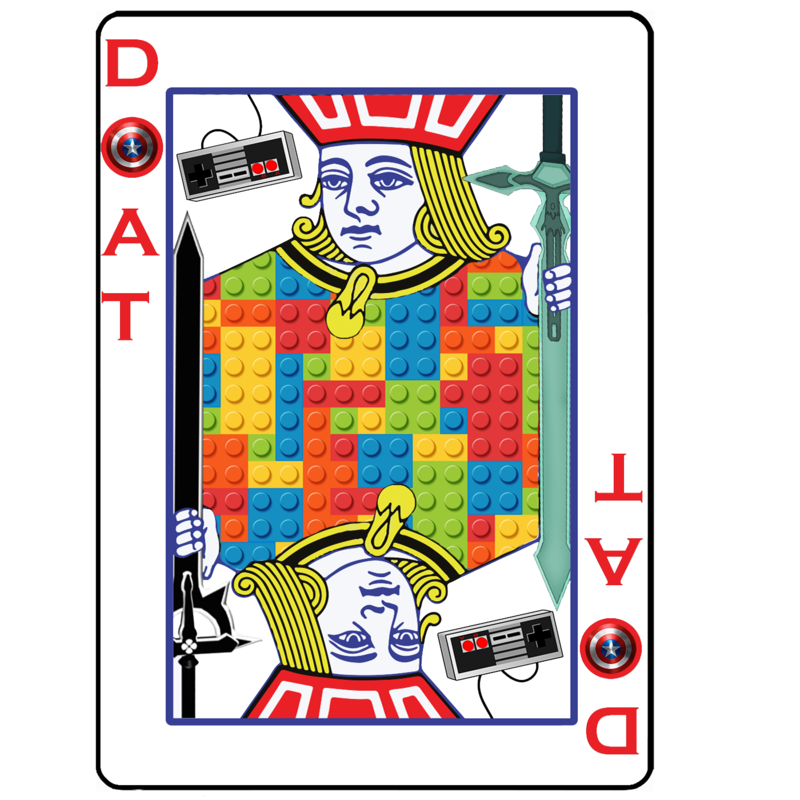 Four standard Jack Cards brimming with Nerd Pop Culture references, each representing a different suite. 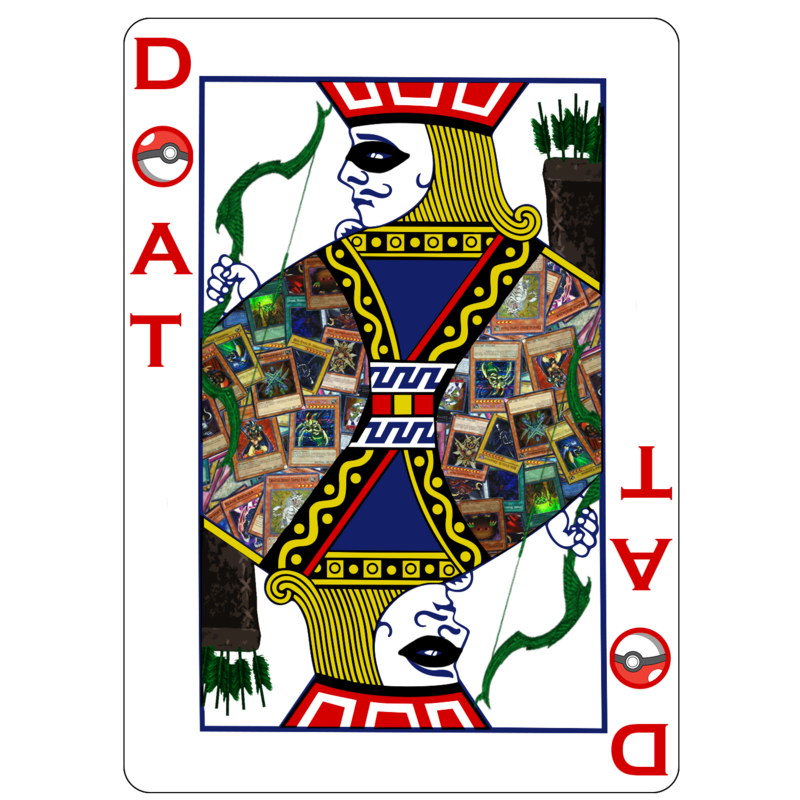 The Dork of Spades was the first design we came up with. It is made up of a combination of Zelda, Comic Books, Doctor Who, and Dragon Ball. It was basically designed to be a combination of Tim and John’s biggest fandoms on the face of a Jack Card. This new version has been cleaned up, and more detail was added. The Dork of Hearts was the second design that we came up with. In our show logo we first thought it would be a good idea to add more nerdy things before the show aired. We chose to add a Pokeball, the Green Arrow’s suit, and a NES Paddle. In the new design, we chose the Jack of Hearts for this card because you can see the full side profile of his head and replaced the paddle with Oliver’s Quiver. We cleaned this design up as well, and added Yu-Gi-Oh cards on the sleeve because that game and show made 6th grade awesome. Shortly after the show started, Tim and John realized we needed more logos, because we love a lot of nerdy things, and those six couldn’t fully represent how geeky we truly are. So we got Ben from Design Forge to create two more logos for us based on nerdy artifacts our guests could come up with! The Dork of Clubs incorporates a compilation of things from our first few episodes. 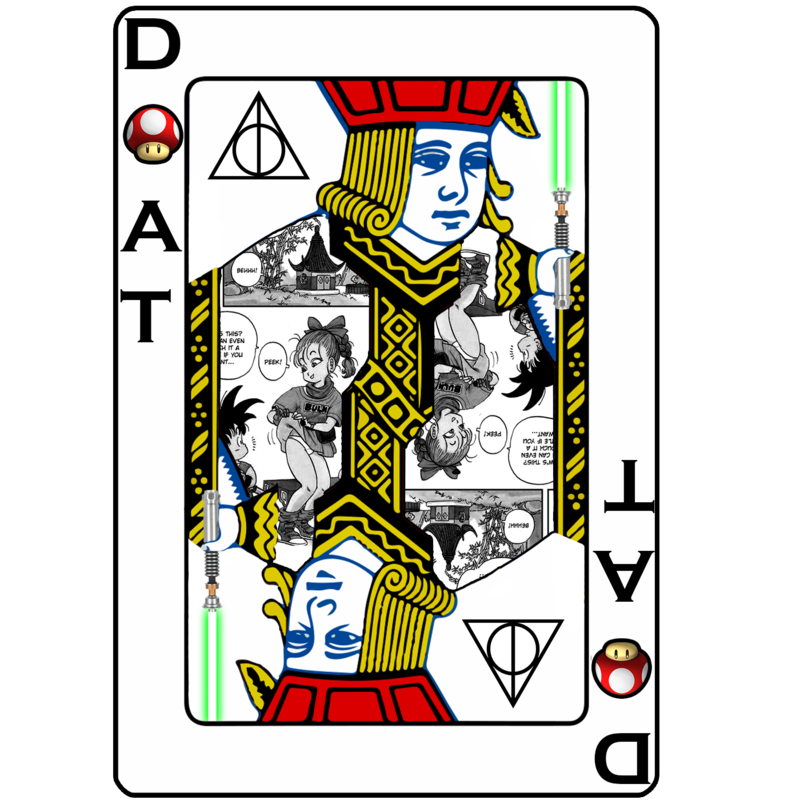 In the Jack’s hand a lightsaber (Episode 1 The Fandom Menace), in the O we chose a mushroom from the Super Mario universe (Episode 3 Everyone had Mario Kart), on his sleeve we chose Manga pages from Dragon Ball for anime/manga (Episode 6 Otaku Bell & Episode 19 Just Saiyan), and in the space the Suite of Spades would be we put the symbol of the Deathly Hallows from Harry Potter (Episode 13 Cho Chang was a Whore… Ch’ore?). Lastly, The Dork of Diamonds focuses on a few of our favorite fandoms. Cap’s Shield honors Tim’s favorite Marvel Super Hero. Kirito’s Swords are here because of John and Pacitti’s love of the anime Sword Art Online. The LEGO sleeve was devoted to Ray’s favorite toy. Of course the NES Paddle is on this card because it reminded us of our childhood and how nostalgia plays a big part in what drives the show and who we all are today; that and we didn’t want to forget it from the original logo. So here they are; the new Dork of All Trades calling cards. We are currently in the process of working out a new logo for iTunes & Stitcher, but in the meantime, which one is your favorite? I know they are all so cool you don’t want to pick a favorite, just like your children. If that’s the case just finish the box of wine you’ve been sipping off of the last 4 hours and pick one. Pick one and make the other ones feel bad. WE BELIEVE IN YOU! Who knows, maybe one day (one day very soon) you may be able to purchase these logos on a shirt or a coozie or a box of wine. Pick your favorite below and thank you all for the continued support! Many, many thanks to the countless hours spent by Benton Joyce and Brett Harte for working on these logos. Ben, you did a wonderful job from start to finish; we appreciate all the time and inspiration that went into developing the idea for the cards. Brett you were great in your quick collaboration and we appreciate your swiftness, attention to detail, and priotization of our collaboration. Thank you both for all the work you’ve done, and all the future work as well.